Art historian Dr James Fox traces the momentous impact of the West’s contact with the peoples and cultures of the Pacific. It’s a story of exploration, encounter and exploitation which began with Captain Cook’s voyages 250 years ago and is etched into the artistic record in extraordinary Western and indigenous paintings, sculpture and carvings. 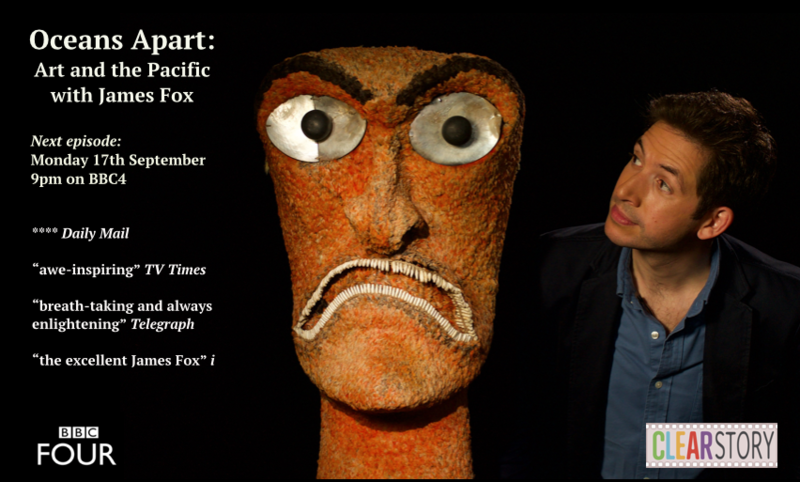 In epic locations across Australia, Tahiti, Hawaii and New Zealand, James Fox builds a powerful and provocative argument that the encounter between the West and Pacific peoples disrupted and destroyed indigenous communities but opened the world’s eyes to their images and ideas, re-invigorating Western art and changing the global imagination forever. 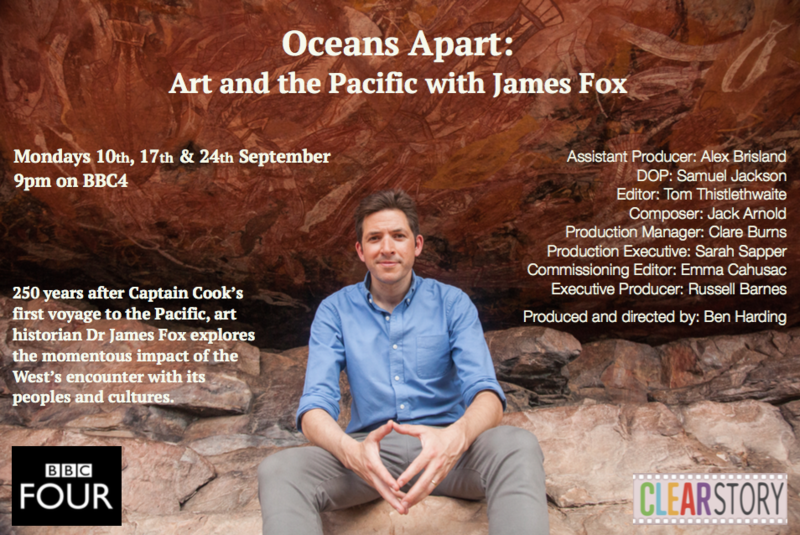 Each episode is packed with extraordinary art – pre-contact masterpieces, early Western attempts to capture the magical world of the Pacific, fascinating hybrid pieces fusing Western and indigenous styles and important new works from the contemporary art scene in the Pacific, which bring the story of clashing cultures up to date. James Fox does not tell this story alone. Throughout the series indigenous people and artists from across the Pacific take the opportunity to reflect on the often painful legacy of encounter for their society and culture. 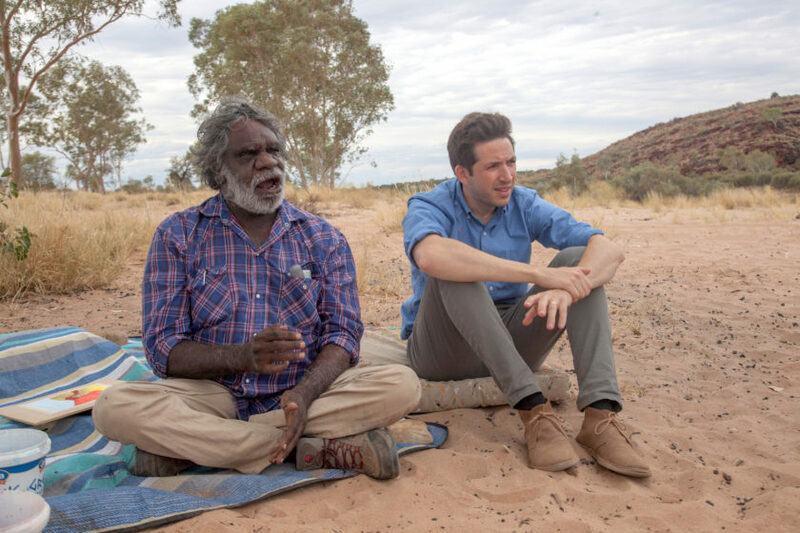 Art historian Dr James Fox tells the story of Australia’s indigenous culture, the oldest continuous culture anywhere in the world and the disaster of its contact with the West. He traces how Aboriginal peoples were almost destroyed by the devastating impact of European colonization but held on to their art to survive, to flourish and, ultimately, to share their extraordinary culture with the world. James Fox begins his story by exploring the breathtaking ancient rock art of Arnhem Land, Northern Australia, depictions of fish and animals in a highly sophisticated ‘x-ray’ style developed and honed over 8000 years. The arrival of Captain Cook in Botany Bay, he argues, changed everything. Over the following centuries Aboriginal peoples were destroyed or marginalized as the new nation of Australia developed. Yet, in the 20th Century, through works such as the exquisite water colour landscapes of Albert Namatjira or the instantly recognizable dot painting style of the Western desert, art has enabled Aboriginal people to re-imagine an Australia of their own. Australia might long have been colonised but, James Fox argues, Aboriginal people are colonising it back with their minds. 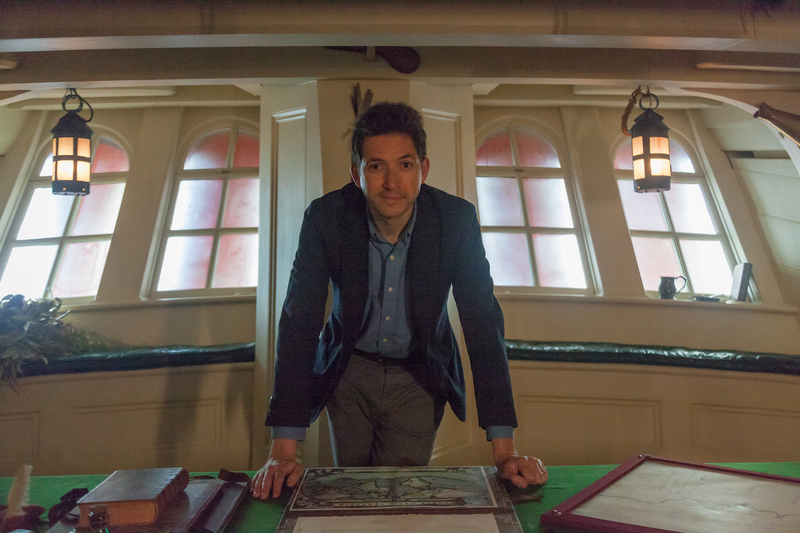 Continuing his exploration of the collision of the West and Pacific culture, art historian Dr James Fox explores how, ever since Captain Cook’s voyages 250 years ago, the West has created a facile myth of Polynesia as paradise and, in doing so, destroyed the riches of indigenous culture. James Fox travels across the Pacific to uncover the great sites and masterpieces of pre-contact Polynesian art, from the massive religious complex Taputapuatea on the island of Raiatea to the extraordinary feathered ‘Ku’ heads from Hawaii, testament to the rich and sophisticated societies that once lived there. Yet, when Europeans encountered these cultures, waves of explorers, missionaries and colonisers destroyed what they didn’t understand and appropriated what was left. James Fox shows how, from Captain Cook’s time onward, these islands were re-imagined as a paradise with women available to be exploited. It’s an idea he traces from the Arcadian landscapes depicted by Cook’s on-board artist, William Hodges, through the extraordinary but deeply troubling art of Paul Gauguin and on to the tacky holiday idyll of modern Hawaii. And yet even here, James Fox finds, some indigenous artists are fighting back, reviving the traditional cultures of Polynesia and using art to protest against the objectification of its women. 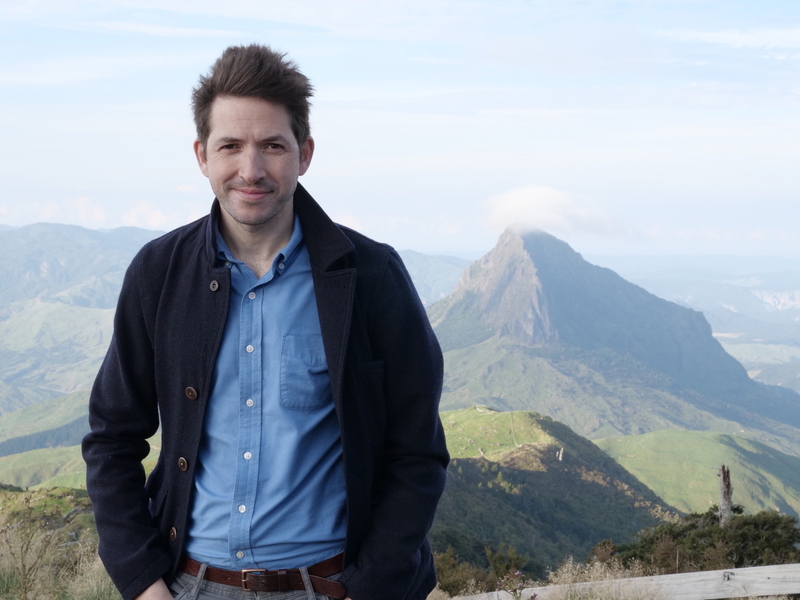 Concluding his series on the clash between the West and Pacific peoples and cultures, art historian James Fox explores how New Zealand’s indigenous Maori people resisted colonisation and marginalisation and maintained their distinctive culture, so much so that it is now an integral part of modern New Zealand and celebrated all over the world. 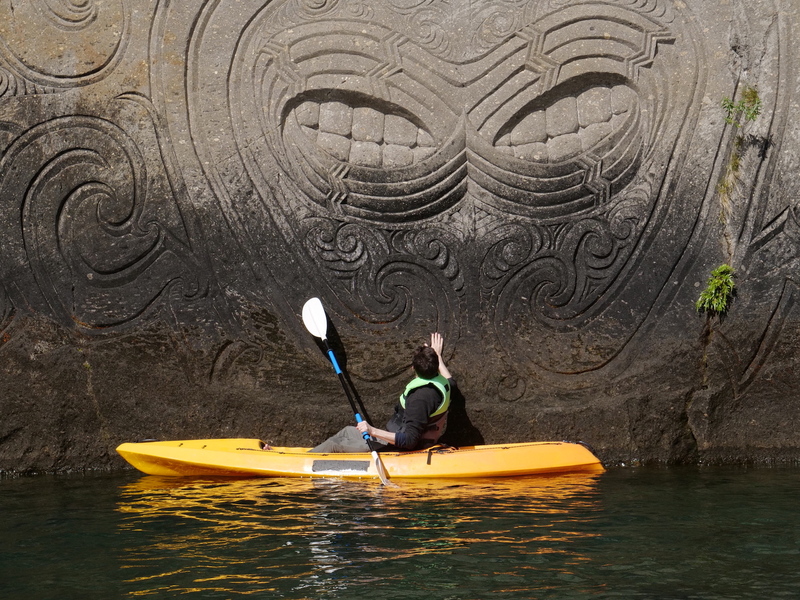 Through the film James Fox encounters some of the greatest works of Maori carving – from the exquisitely painted paddles given to Captain Cook to works by one of the great masters of Maori art, Tene Waitere. He shows how, from the beginning of their encounters with Europeans, the Maori adapted outside influences, whether it was modern firearms or the new religion of Christianity and produced fascinating hybrid work that ranges from elaborately carved rifle butts to a Madonna and Child statue adorned with the Ta Moko, the sacred Maori facial tattoo. Today, James Fox finds Maori culture in the midst of a full-scale Renaissance, embraced not only by the Maori themselves but all New Zealanders.